Discover the art of the beard. ZEOS have taken the mystery out of mastering your beard with the new ZEOS blend of premium oils that have been sourced from around the world to promote incredibly touchable growth that’s easy to manage and sleek, beautifully conditioned skin. The ZEOS signature blends of nourishing oils are naturally loaded with antioxidants, vitamin E, Vitamin A, Omega-6 fatty acids and linoleic acid to condition the hair and boost the skin’s elasticity and sooth any irritation. 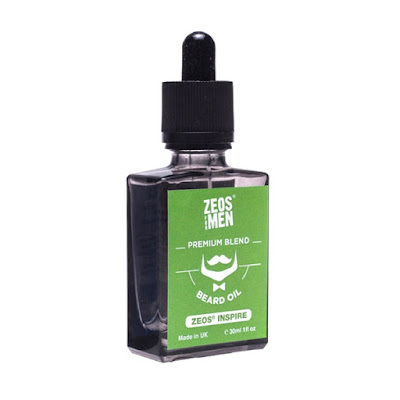 It does all the hard work for you, putting your follicles through their paces and leaving just a subtle scent, incredibly touchable beard and healthy-looking skin with no annoying greasy residue. 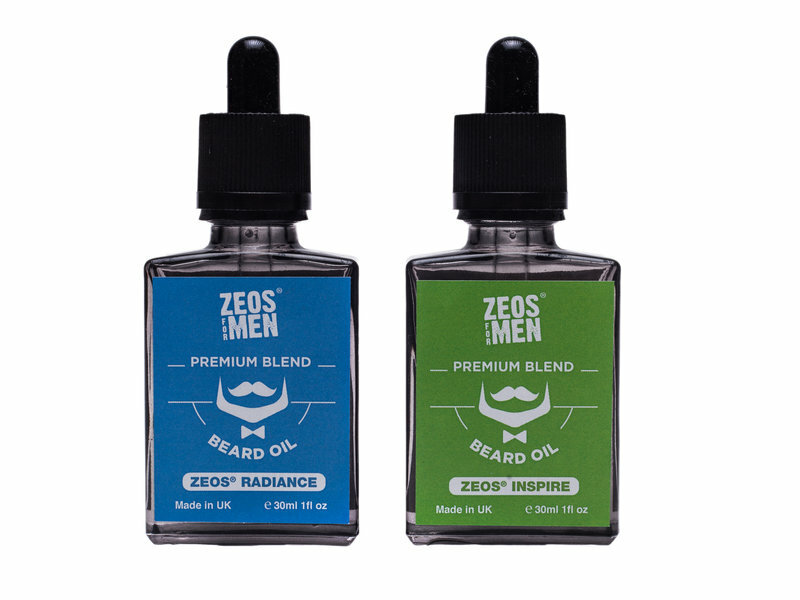 ZEOS Premium Blend Beard Oil is available in two memorable and incredibly masculine fragrances set to nudge your senses, not overpower them. The only difficult bit is for you to decide which of these two highly irresistible masculine fragrances you choose to use today. ZEOS Inspire – An unforgettable fragrance journey, created for the kind of man who other people like to follow. A dominant, masculine blend with a contemporary twist, Inspire speaks of high achievement reminiscent of the boardroom or gentleman’s club. 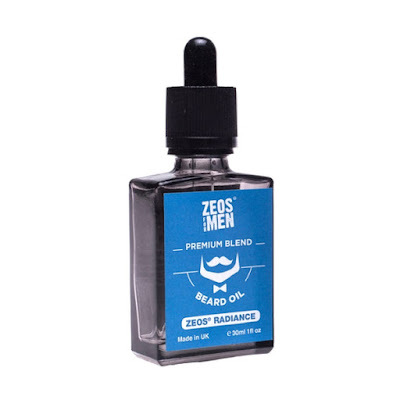 A perfect signature scent to wear as intimately as on your beard. ZEOS Radiance – A bold and contemporary fragrance created for the dynamic man who likes to squeeze every single drop out of his life. Sharp but sweet top notes reminiscent of glittering fruits sit atop a heady yet distinguished base making this a lasting scent to wear as close as your beard to energise and invigorate throughout the day.